Highland Park is getting two new Kosher Restaurants in February of 2019. It’s going to be an exciting year. From the people who brought you Lin’s Kosher Chinese in Manville comes China Lee. A new meat restaurant located in Downtown Highland Park. Parking is available across the street in the city lot. Turkish and Mediterranean cuisine. Bridge has been open for years and has become a Highland Park landmark. Now, it’s coming under the Vaad’s supervision. Sundays at 5:00pm starting January 27th. Rabbi Israel, a genius on both the revealed and secret aspects of the Torah, was a very modest man. Despite his great scholarship, he never considered himself worthy of all the honors that were bestowed upon him. Rabbi Moshe ben Maimon, Talmudist, Halachist, physician, philosopher and community munal leader, known in the Jewish world by the acronym Rambam and to the world at large as Maimonides, is one of the most important figures in the history of Torah scholarship; on his gravestone were inscribed the words, "From Moses to Moses, none arose as Moses." Today, many hospitals and schools across the globe are named after Maimonides; and to this day, students worldwide pore over his scholarly works. Rambam was born in Cordoba, Spain, on the 14th of Nissan (the eve of Passover) of the year 4895 (1135 C.E.1). His father Maimon, a direct descendant of King David, was a judge in the city's rabbinical court. His mother passed away when he was yet a small child. At the age of thirteen, his family was forced to flee Cordoba when a fanatic Islamic sect took control of the city; the Jews were attacked by rioters and many synagogues were destroyed. Rambam and his family traveled from place to place looking where to relocate. Not finding anything suitable in Spain, he and his father and younger brother, David, moved to Fez, Morocco for five years. In 4925 (1165 C.E. ), he visited the land of Israel and then moved to Alexandria, Egypt. Later, he settled in Fustat, today known as Old Cairo, where he lived until his passing. In Egypt, Maimonides was supported by his brother David, a merchant who imported diamonds from India. 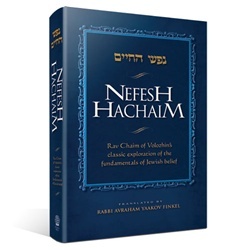 His financial support gave Maimonides the ability to devote himself to the study of Torah and to author his three main scholarly works: (1) Commentary on the Mishnah, (2) Mishneh Torah Jewish Law (3) Moreh Nevuchim The Guide for the Perplexed. Tragedy befell him when his father, wife and two of his sons died within a span of two years, starting in 1166. Several years later, in 1171, his brother David drowned when his ship sunk en route to India. Without the support of his brother, he began practicing medicine and struggled to support himself and his brother's family. In his mid-fifties, Maimonides was appointed as a personal physician by a royal courtier and then to Saladin, the sultan of Egypt and Syria. His new appointments and duties gave him financial stability and more – albeit still very limited – time to devote to his writing. His son and faithful student, Abraham, was his only remaining immediate family member. Maimonides passed away on the 20th of Tevet of the year 4965 (1204 C.E.) and was buried in the city of Tiberias in the Holy Land. Please help us remember our friend Phil Machlin. We now have a listing of the known gemachs in the Highland Park Area on our webpage. If you need to borrow something (including money), you maybe best off going to one of the local gemachs and see what they can offer. The first Jewish mellah (Arabic for “salt marsh” or “salt spring”) was established in the Moroccan city of Fez in 1438. 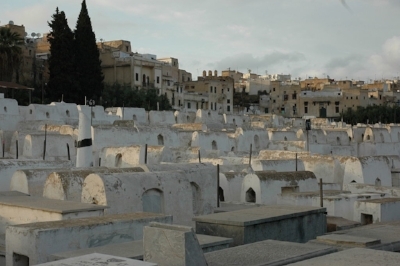 Historical records suggest that the Fez Mellah, similar to a European ghetto, was built to safeguard the city’s growing Jewish population in return for loyalty to the sultan. Today, it stands in ruin.